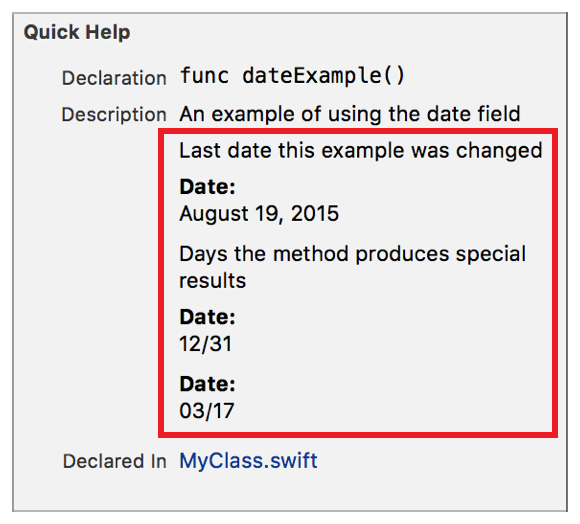 Add a Date callout to the Quick Help for a symbol using the Date delimiter. Multiple Date callouts appear in the description section in the same order as they do in the markup. The description displayed in Quick Help for the date callout is created as described in Parameters Section.